Charlotte Place was a small housing ‘court’ off the north side of Sherborne Road, about halfway between Wyndham Street and the new one-way junction with Reckleford. It was shown on both the 1886 and 1901 Ordnance Surveys. 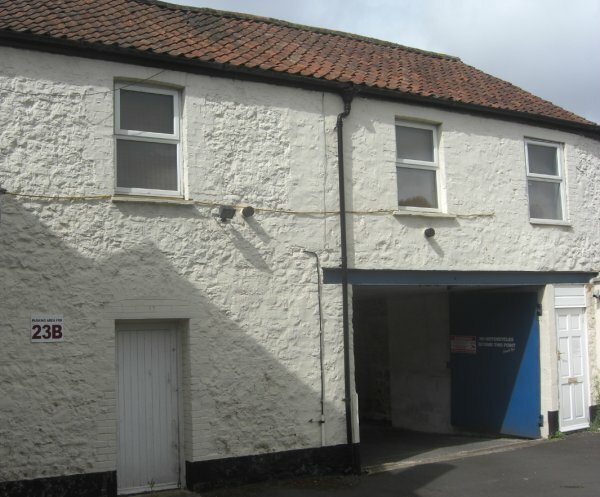 The entrance still exists as the alleyway between the New Hong Kong Chinese takeaway and the bright red and yellow National Tyres and Autocare, and the court of what appears to be two stone-built dwellings, one with a modern porte cochere, still exist. 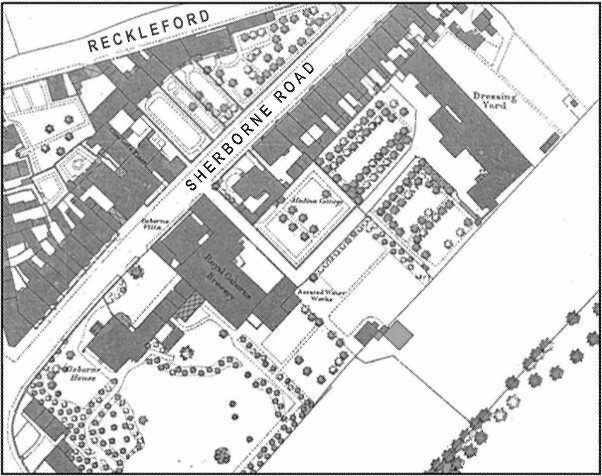 The 1886 Ordnance Survey shows Charlotte Place off Sherborne Road and at right angles to it. The entrance to Charlotte Place is seen on the map just above the 'H' in Sherborne Road. Charlotte Place photographed in 2013. The porte cochere with the blue doors appears to be modern.